Staff very accomadating. Location to get in is difficult to find. Le style est disons "vintage" mais rien à redire au niveau de la propreté, de la grandeur de la chambre et des équipements. 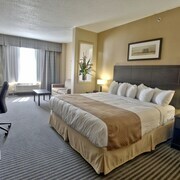 Where can I find hotels in Warwick that are near tourist attractions? There are limited Expedia-accredited hotels within a short drive of Warwick, so it's recommended to book ahead of time if you want to stay in a central Warwick hotel. While Warwick can't lay claim to having a huge selection of hotels near its town center, Gîte du Champayeur should be close enough to please most visitors. The Hôtel Le Victorin is 15 kilometres (9 miles) from the center of Warwick. 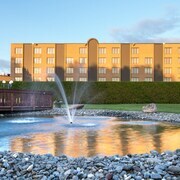 Or, alternatively, the Quality Inn & Suites Victoriaville is located 15 kilometres (9 miles) away. 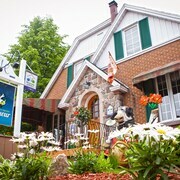 Other Expedia-listed accommodations are the Motel le Victo and the Motel Auberge Hélène. After you've explored Warwick, schedule in a little time to investigate the wider region of the Chaudiere-Appalaches area. Investigate Chaudiere-Appalaches' old towns and also enjoy the region's beaches and forests. Visitors in this section of Canada can enjoy snowboarding. The nearest places to spend the night in Chaudiere-Appalaches are Plessisville and St-Ferdinand. Plessisville is 35 kilometres (22 miles) to the northeast of Warwick, while St-Ferdinand is 40 kilometres (23 miles) to the northeast. 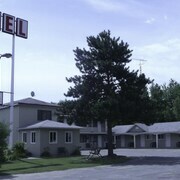 Plessisville accommodations include the Motel le Phare and Motel Claire Fontaine. 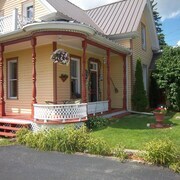 While St-Ferdinand apartments and hotels include the Chalets Garou and Manoir du Lac William. Just because you are far from home, doesn't mean you can't indulge in your love of sporting events. You'll find Becancour Arena 55 kilometres (35 miles) to the northwest of Warwick. 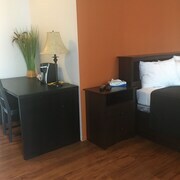 For visitors who are keen on booking a room close by, make a reservation in the Manoir Becancourt or Hebert Hotel. Jean Lesage International Airport is a logical airport, and can be found 100 kilometres (65 miles) from Warwick. 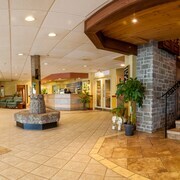 Conveniently located Expedia-listed hotels include Grand Times Hotel Quebec City Airport and Comfort Inn Airport East- Ancienne Lorette. What are the most popular Warwick hotels? Are there hotels in other cities near Warwick? 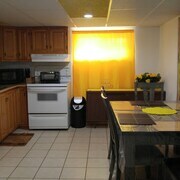 What other types of accommodations are available in Warwick? Explore Warwick with Expedia.ca’s Travel Guides to find the best flights, cars, holiday packages and more!